Croydon Vets, Anne Nelson Vets. Hospitalisation. We have a light and spacious kennel area which is warm and comfortable for both day patients and In-patients. If a patient requires hospitalisation we have a huge variety of foods to try and keep to your pet’s familiar diet, as well as specialised diets to treat certain conditions. We encourage people to come and visit their animals when staying with us as this sometimes encourages the animal to feel at ease within the environment but at times may advise that it isn’t appropriate. We have a team of dedicated In-patient nurses who provide the treatments but also spend time with each individual animal. Should an animal require isolation due to a potentially infectious condition such as cat flu or parvovirus in dogs, we have a specialised isolation unit with its own completely separate facilities. This enables ‘barrier nursing’ to take place to ensure that any infections are contained. In our Operating Theatre our vets are able to carry out a range of surgical procedures. The theatre environment is kept meticulously clean with a strict cleaning protocol and staff numbers are restricted to avoid contamination of surgical procedures. 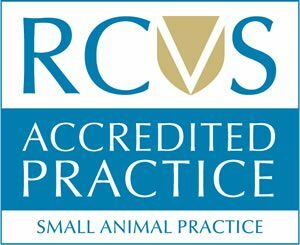 Our Veterinary surgeons are experienced and regularly undertake continued professional development to learn about the latest techniques and new treatments. Our vets will always be happy to discuss any specific concerns you may have about any surgical procedure. As Anne Nelson she carries out orthopaedic surgery and is able to accept referrals from local surgeries. Anne Nelson is a certificate holder in Small Animal Orthopaedics. She is experienced in a range of Orthopaedic procedures and takes referrals from other vets to carry out complex operations requiring her clinical knowledge. Our nurses are all qualified to assist in the Operating theatre and with Anaesthesia.